The friendly but forgetfull blue tang fish begins a search for her long lost parents and everyone learns a few things about the real meaning of family along the way. Finding Nemo is one of my favourite animated movies of all time and since Dory was my favourite character in it you can imagine my excitement when I learned that Finding Dory was being made and Pixar certainly did not disappoint. In this movie we learn Dory's backstory and it was so heartwarming the way that storyline was handled teaching us that family isn't just about blood its about those people who love you and stand by you in life no matter what. It was also very clever how they incorporated some of our favourite Dory scenes from Nemo into that backstory providing lots of LOL moments. The graphics were spectacular making it a technical masterpiece. I only wish I could have watched this in 3D. We get to meet characters old and new in this prequel and sequel all rolled into one. 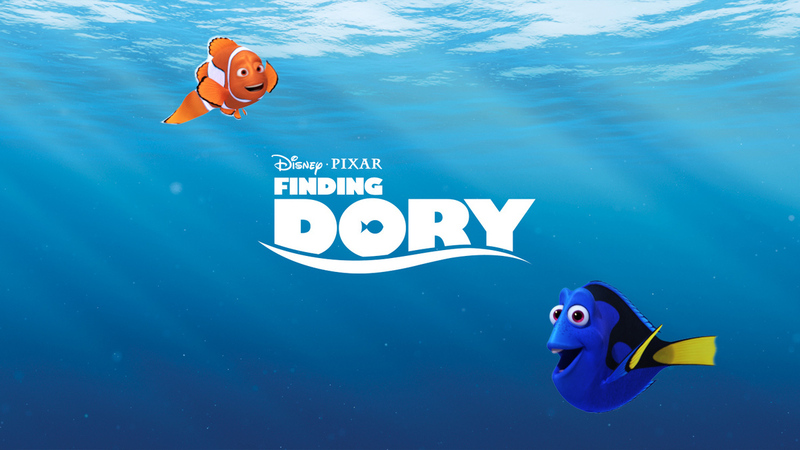 Finding Dory is funny, heartwarming and a lesson in social values in our ever evolving world. Fans of Nemo you certainly will not be disappointed in this movie. GO SEE IT!! !